In brief: While HMD’s Nokia 9 PureView flagship and its five rear cameras have been getting all the attention at MWC, the company’s lower-end models shouldn’t be ignored. These range from $169 right down to $99 but come with some modern features and designs not usually seen in devices this cheap. 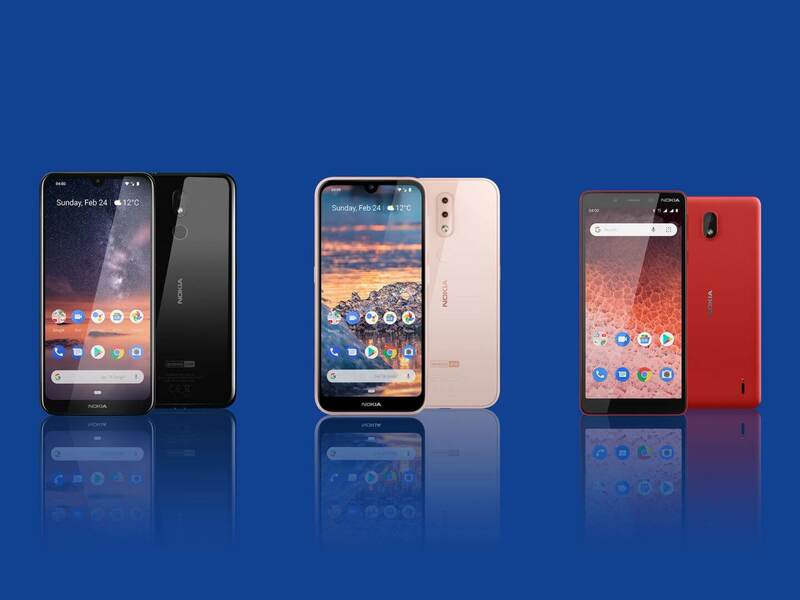 Somewhat confusingly, the Nokia 4.2 is the first of HMD’s 4-series phones. Costing $169, this mid-range device features a 5.71-inch, 19:9 display (1520x720, 270PPI), a Snapdragon 439 SoC, either 2GB or 3GB of RAM, 16GB or 32GB of storage, two rear cameras (13MP, f/2.2 aperture + 2MP depth sensor), a selfie cam (8MP, f/2.0), and a 3,000mAh battery. While those specs put it firmly in the mid-range category, you do get some modern perks. There’s a dedicated Google Assistant button on the side, along with AI-augmented face unlocking. You also get NFC, a fingerprint sensor, a headphone jack, and a near-stock version of Android 9 Pie. It even comes with a notch—not that everyone appreciates those. All in all, the Nokia 4.2 appears to be good value for something under $170. It does use a MicroUSB port, though. For something even cheaper, there’s the $132 Nokia 3.2. It features a slightly larger 6.26-inch LCD with the same resolution as the Nokia 4.2, but the processor drops down to a Snapdragon 429. Some of the other specs are also downgraded, including the single 13MP rear camera and 5MP selfie cam, but you do get a 4000mAh battery. The back is plastic rather than glass, there’s no NFC, and the fingerprint sensor is only available in the $169 3GB version. It’s another Android One device, though, which means at least two years of snappy updates to the latest version of the OS and monthly security updates. Finally, there’s the $99 Nokia 1 plus—an updated version of 2018’s Nokia 1. It’s an Android Go phone, which means it runs the stripped-down version of Android designed for entry-level devices. The handset’s price point does mean certain compromises: a quad-core 1.5GHz MediaTek SoC, 1GB of RAM, a 5.45-inch 854x480 LCD (180 PPI) screen, a 2500mAh battery, and an 8MP rear camera with a 5MP front-facing snapper. But there is a headphone jack, and there are certainly much worse phones available for under $100. To learn more about HMD’s flagship handset, check out the photography-focused Nokia 9 PureView.